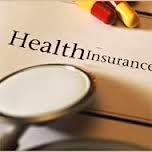 In order to bridge the gap between the total cost of healthcare incurred and the amount covered by health insurance companies, health insurance companies have come up with comprehensive plans by adding up some extra features to their existing plans that would cover more than just hospitalisation expenses. These feature-rich policies would be able to compensate policyholders the total actual cost occurred in healthcare, including hospitalisation reimbursement, pre-hospitalisation expenses such as out-patient department (OPD) and wellness services. In addition, these companies would also be providing Worldwide Emergency Cover, disease- specific covers, value-added services in the form of discounts, health maintenance benefits and consultation charges for second opinion. Conventional health insurance plans, especially the hospitalisation reimbursement category that exists in the market today, have been restrictive in terms of coverage, Bajaj Allianz General Insurance Managing Director and Chief Executive Officer Mr. Tapan Singhel said.